Starting your orthodontic treatment is both exciting and scary, but there is absolutely nothing for you to worry about. Your first appointment is crucial in ensuring that you fully understand the process you will be going through. Additionally, this orthodontic visit is going to allow your orthodontist to examine and recommend a treatment plan that is just right for you. Before you go to your first appointment, you should be aware of some of the questions that might be useful for you to ask during the appointment. Asking the right questions will make sure you leave your appointment happy and well-informed about your future treatment. When you go to your orthodontist for your very first visit, you will not begin treatment as soon as you get there. You will meet with your doctor and they will help you get more comfortable with the entirety of the treatment process. You will probably be given a tour of the office and meet many of the team members you will be interacting with during your treatment process. Also, this is the time when your orthodontist is going to be able to answer any of your questions regarding financing, treatment plan options, or anything else you might be curious about. When you go in for your first visit, your orthodontist will start a record of your teeth, mouth, and jaws. These records are comprised of a panoramic, full mouth x-ray, a cephalometric x-ray, and photographs of your teeth, smile, and face. The panoramic x-ray shows your entire mouth in a single image, including your teeth, upper jaw, and lower jaw. The cephalometric x-ray is used in determining measurements for your jaw and examining how your bite will be adjusted. The use of these is crucial in the orthodontist’s ability to determine the best treatment procedure for you. After the images and measurements have been taken, your orthodontist will look over them thoroughly and let you know what treatment plans are the best options for you. You will also get a ballpark of how long it will take to align your smile. If you are able to start your treatment the same day as your consultation, there are a few more things you can expect at your appointment. To get you started, you could need anything from spacers to brackets attached to your teeth for your treatment. This step varies from patient to patient, so be sure to ask your orthodontist any and all questions you might have prior to actually starting treatment. Your first orthodontist visit can be really intimidating. 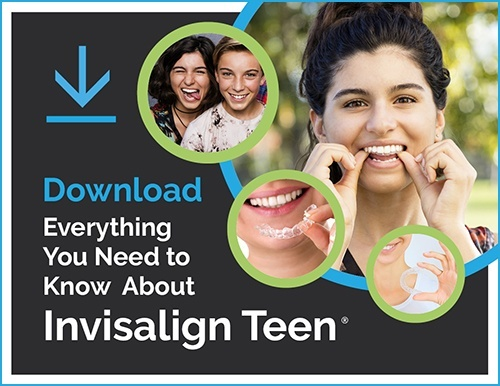 You will be getting a lot of information and your orthodontist will be telling you a lot of things about your teeth, your recommended treatment plan, and financing options. To make this process easier, be prepared to receive all of this information. Do a little research beforehand so you know what questions to ask to ensure you understand the process to the best of your ability.